« Introduction to Buttkickers, what are they? I’ve decided to mount one buttkicker LFE onto the underside of the obutto’s chair to the crossbrace after I move it from the back-most frame holes closer to the center, which should shake the chair a little more than the back position. This one was relatively simple to mount and to work out where it will be going, I used a simple 34mm square U-Bolt to mount to the cross-brace with the buttkicker still on the couch mounting pad to make it easier to mount, although taking it off is simple enough for cleaning or transportation purposes with the four square bolts that come with the couch mounting kit. The buttkicker actually touches the ground when the chair isn’t attached to the frame because it joins the frame about 3 inches above the ground. After set-up you can easily slide a piece of paper under it without it getting stuck although you can’t fit much of your finger underneath. 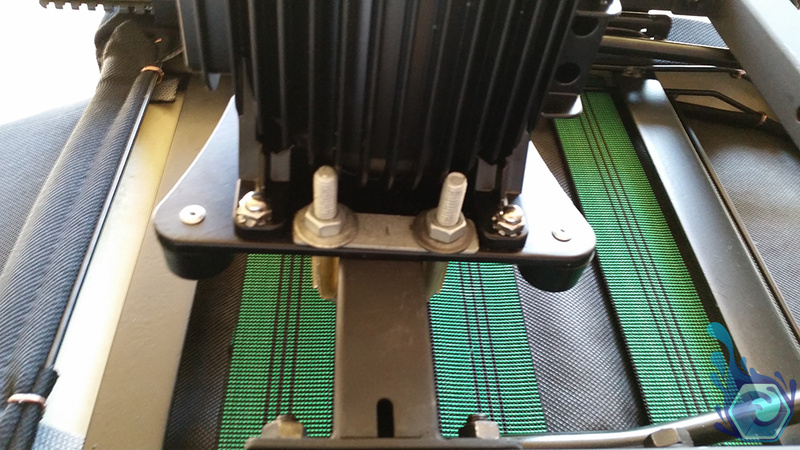 If you’re using rubber isolators on the contact points of the chair you’ll have no trouble with either buttkicker touching the floor. I’ll be mounting the other LFE to the foot-rest at the front of the obutto to give any games and movies the whole body vibrating experience, because it would be lame if only your body shook and your feet didn’t. This one will be tricker to mount however as there’s less vertical space for mounting the buttkicker and it will be touching the ground slightly even in the highest footrest position, after testing it though it doesn’t diminish the vibration at all and it actually shakes more then the chair attached buttkicker probably due to it having to shake more of the frame and travel further. 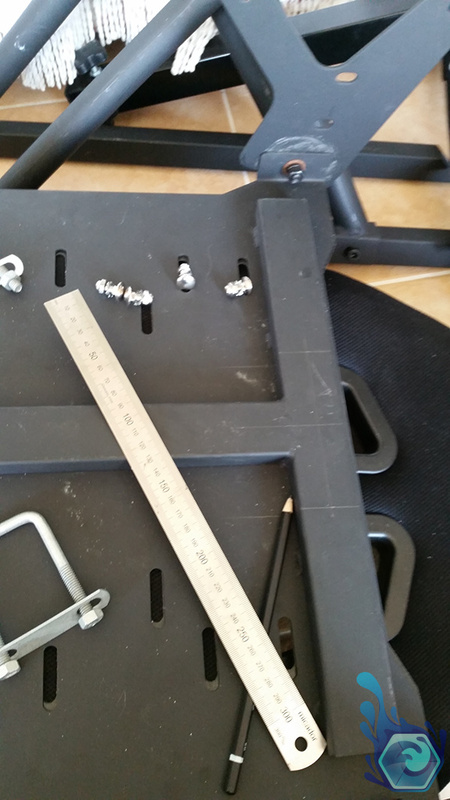 There are three positions that the footrest attaches to the frame and I didn’t bolt the front-most one because it would have surely pushed down into the ground. Therefore I left it loose which only makes it rattle against the frame when the buttkicker is turned up fairly high for those extreme explosions. Firstly I take no responsibility for any personal injury or anything you do to your Obutto or Buttkickers by following this guide and watch out for those metal shards after drilling any metal, they can easily cut into your skin like one of them did to me. Alright here’s how I mounted them both with pictures of most of the steps and what the finished product looked like, feel free to copy my mounting layout if you’d like or ask questions in the comments below if something wasn’t clear. Fig1. – The mounted chair buttkicker. Fig2. – The mounter foot-rest buttkicker. This guide is pretty flexible as you’re able to move the cross-brace wherever you like underneath the chair if you feel it doesn’t work in one position. 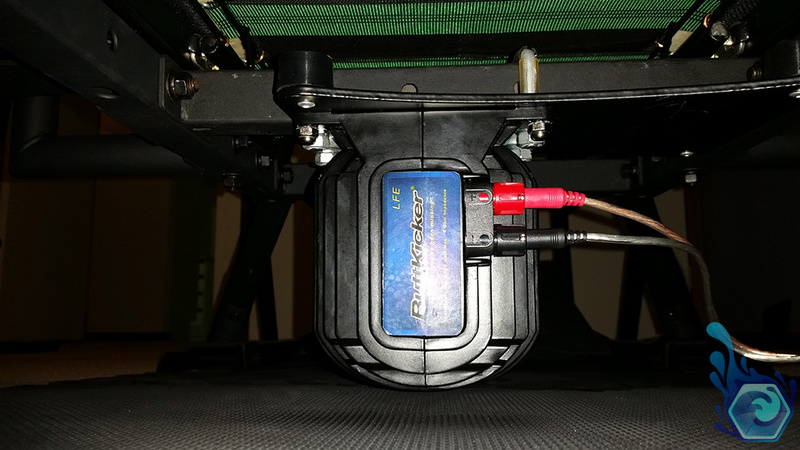 The footrest buttkicker however is limited to one position although I made sure that both buttkickers can be moved slightly to allow two LFE’s for both the front and back mounting points. The footrest LFE can be moved left or right using the previously drilled holes and allow another, although I would only recommend one as there’s plenty of vibration. The chair LFE needs half of the couch kit sawed off (leaving at least 5mm of metal to the drilled holes for stability) but can again be slid across to allow for two LFE’s for more shake which i’m fairly likely to do in the future if the single amp can handle 3 buttkickers. 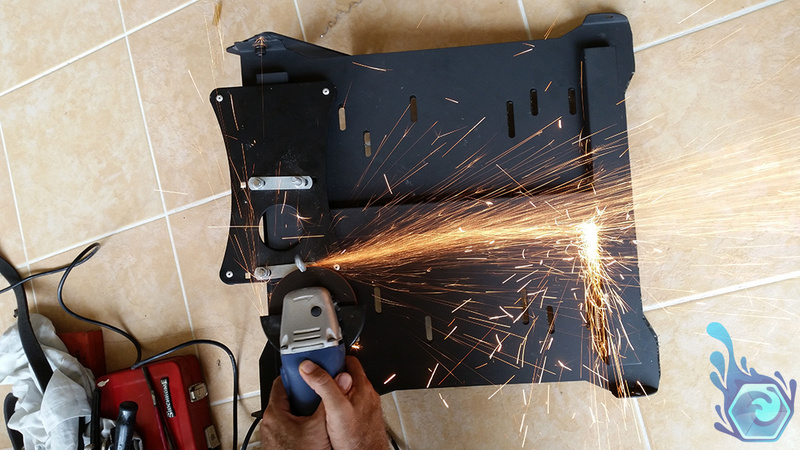 I tried to minimise the drilling to the actual Obutto’s metal in the guide, as such there’s only four holes in the Obutto’s footrest (8 if you want to mount 2), the chair mounted buttkicker doesn’t require any holes to be drilled and can be removed without any damage. 2 32-34mm U-Bolts (for the chair) I used a 34 as 32’s were unavailable. 2 42-44mm U-Bolts (for the footrest) I used a 42 here and it fit better than the 34’s. Work out where you want to mount your buttkickers and if you want to follow this guide or go your own way. I specifically designed it so both mounting points can take two LFE’s if desired. Move the cross-brace to where you want it under the chair or to the back of the chair if desired. Make sure you decide which way the LFE will be facing on the couch-kit as it’s much easier if the plugs are easy to access, although you’re able to change this direction later without much hassle. Fig3. 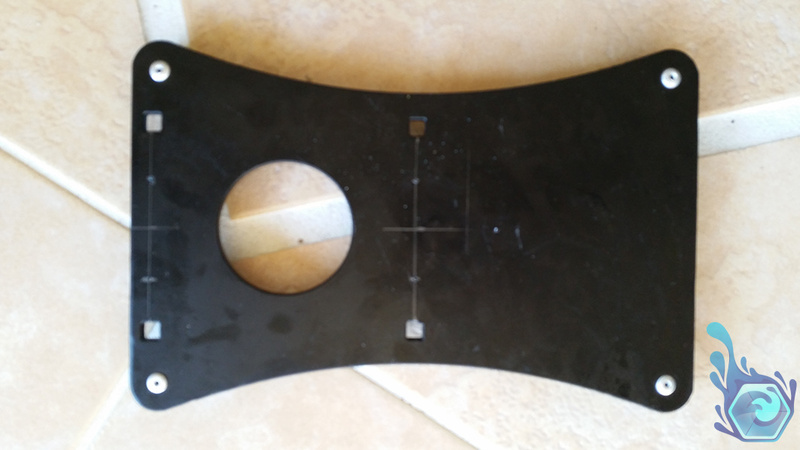 – Deciding where the crossbrace should go. Fig4. 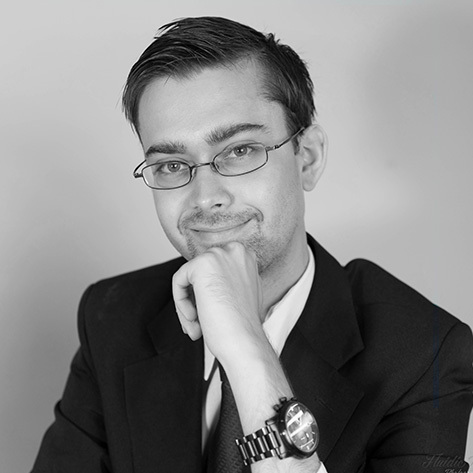 – Measuring the dimensions. Draw in a soft HB pencil where you are going to drill the holes on the couch mounting kit, measuring them carefully first. 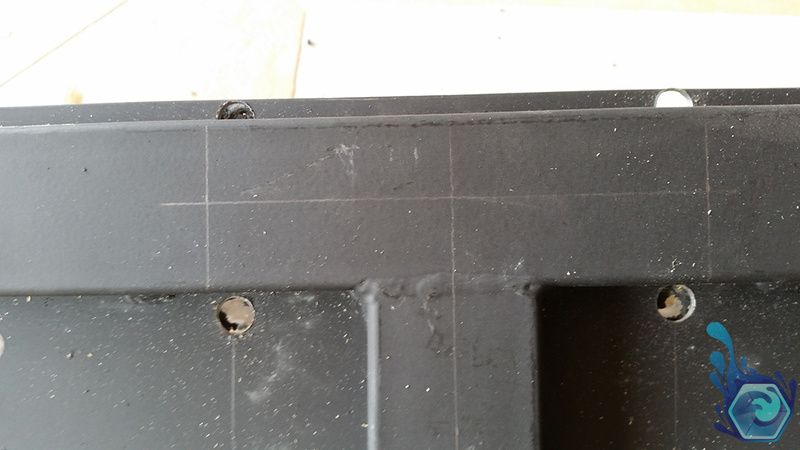 The dimensions are specified below in the pictures although you should check if you can get the same size square U-Bolts in your local hardware shop (32-34mm and 42-44mm) as I had to drive to 4 locations to find some that fit. Fig5. – The dimensions of the back buttkicker. 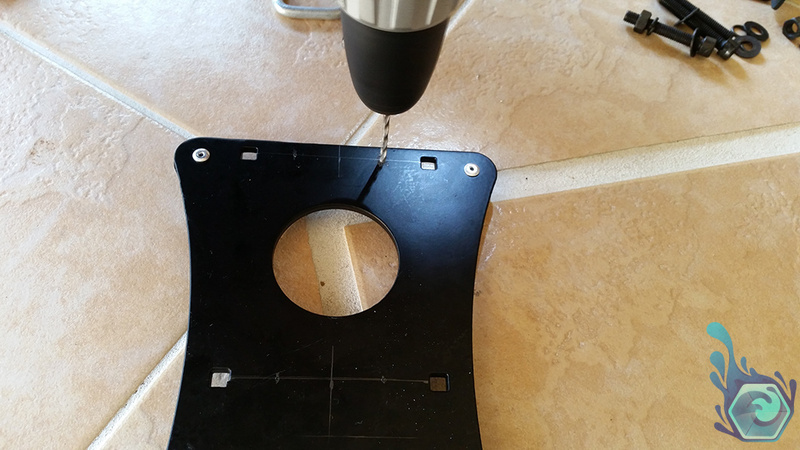 Drill the holes in the chair mounting kit. 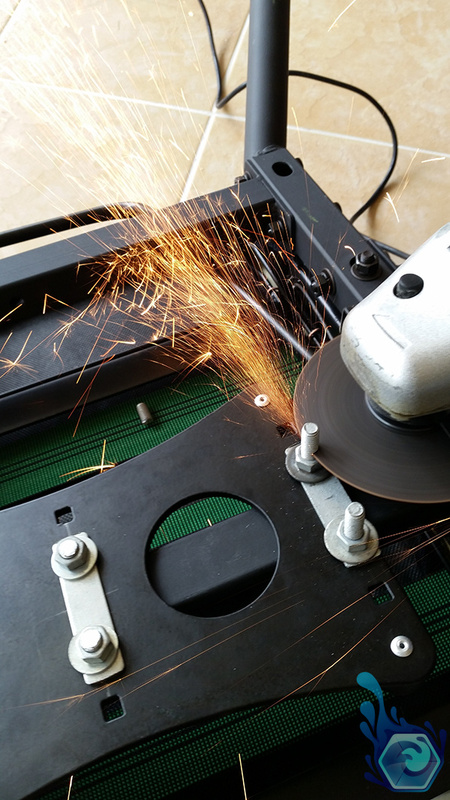 You should use a 2mm wide thread first then move to a larger size which will make it easier to get through the 2mm thick steel. Fig6. 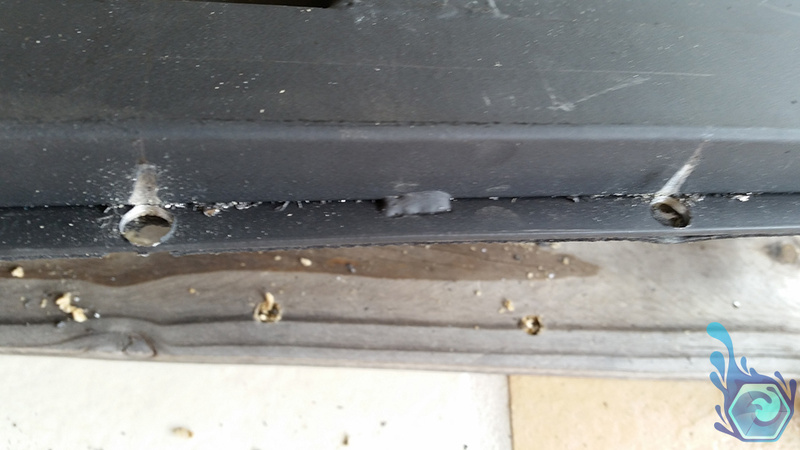 – Drilling small holes first. Fig7. 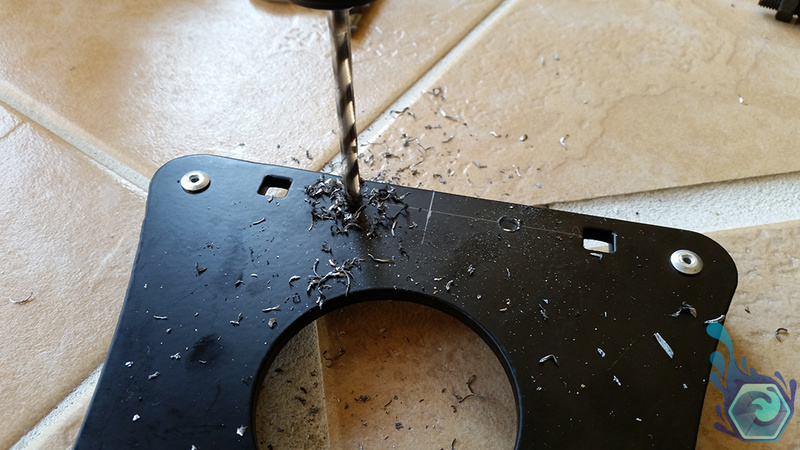 – Drilling out the small holes to fit the U-Bolt. 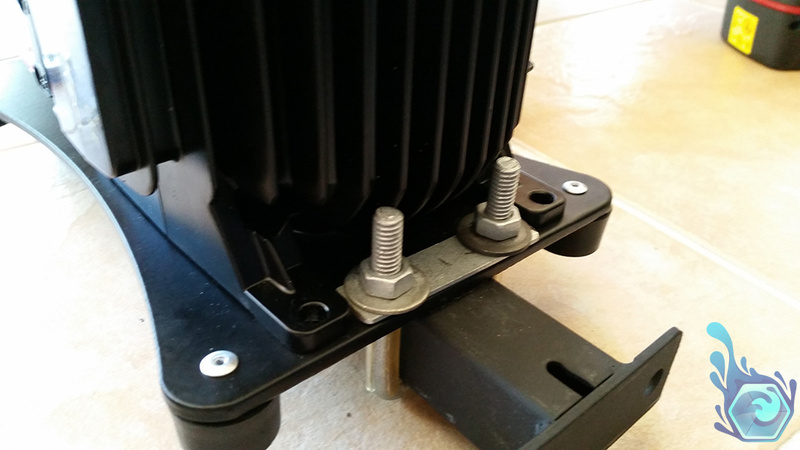 Put the 32-34mm U-Bolt into position and bolt on the couch mounting kit to the cross-brace firmly (making sure the buttkicker isn’t on the couch kit yet) and checking that that rubber isolation pads are facing up into the chair to prevent them from being seen as much. Check to make sure that there’s no wiggle if you’ve reached the end of the thread for the bolt and can’t tighten it any more, if so grab some washers and put them on until it’s on tightly. 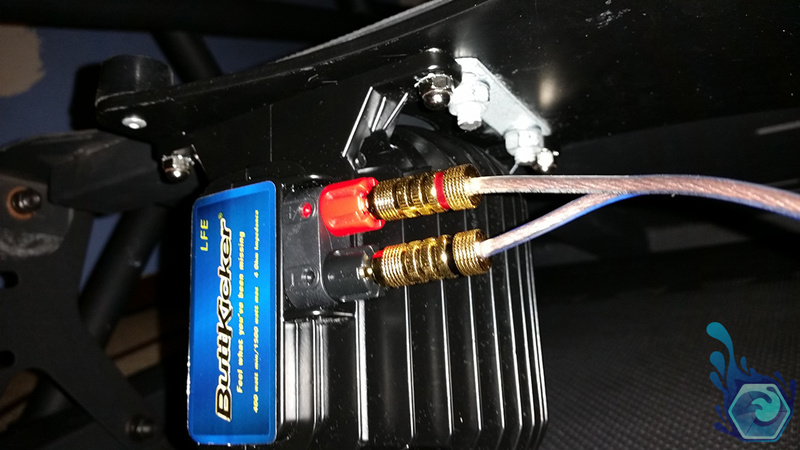 Alternatively you can put some rubber tubing around the U-Bolt to transmit the vibration more effectively and add some clearance while doing so. Once you’ve done this it should look like Fig.9. Fig8. – Making sure the bolt goes through and will fit. Fig10. – Putting together the U-Bolt mechanism. Mark the excess thread on the U-Bolts with a permanent marker (or just go ahead and cut it) taking into account the nut and any washers you want to use. You can skip this step although depending on how many washers you use the bolt may or may not fit and will come into contact with the LFE and could damage it when it vibrates. Fig9. 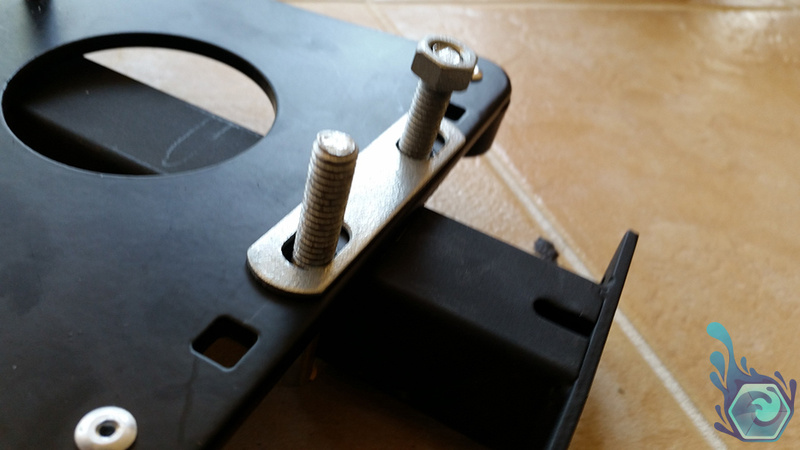 – The bolt successfully attached to the cross-brace snugly. Fig11. – Marking the excess thread to trim. Fig12. – Cutting off the excess thread. Repeat the steps again for the front buttkicker using the 42-44mm U-Bolt, here’s the dimensions and pictures for you to follow. 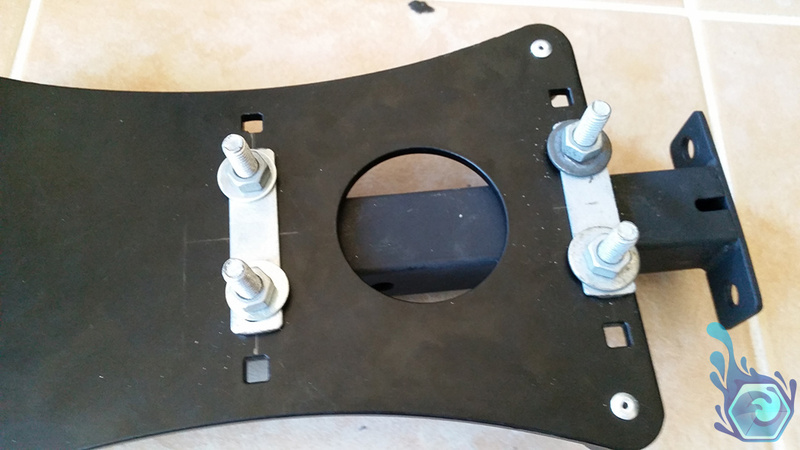 Here are the pictures in order of the footrest mounting. Fig13. 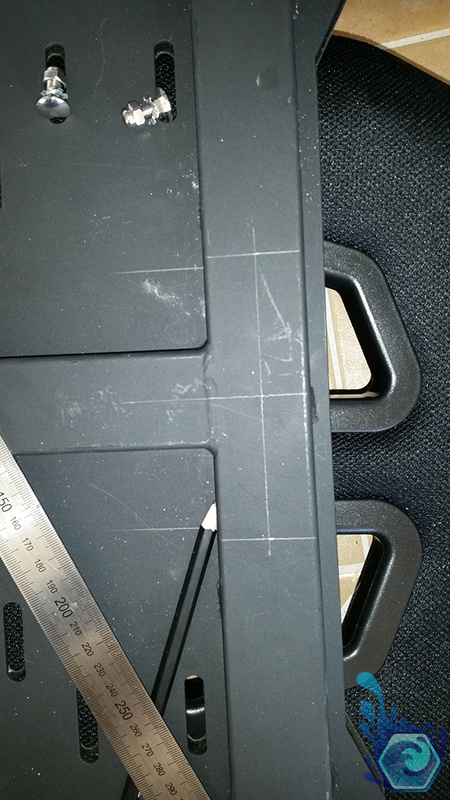 – The dimensions of the couch kit foot-rest holes. Fig14. 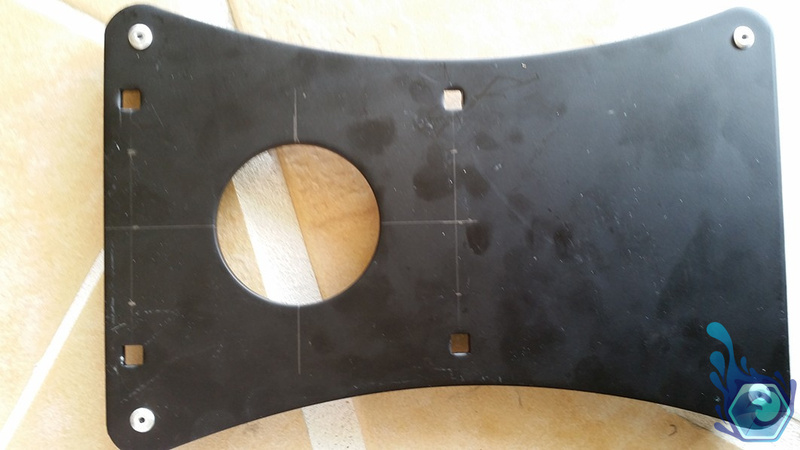 – The dimensions of the actual foot-rest holes. Fig15. 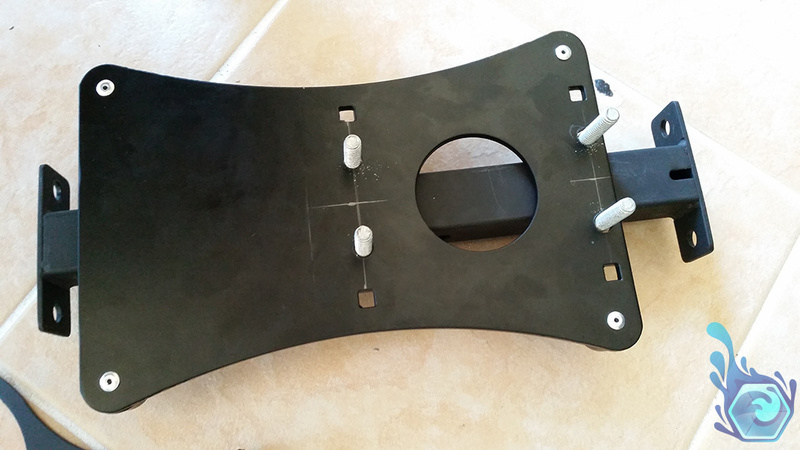 – The drilled out holes, slightly larger spacing then the chair’s holes. Fig16. – The drilled holes of the foot-rest. Fig17. 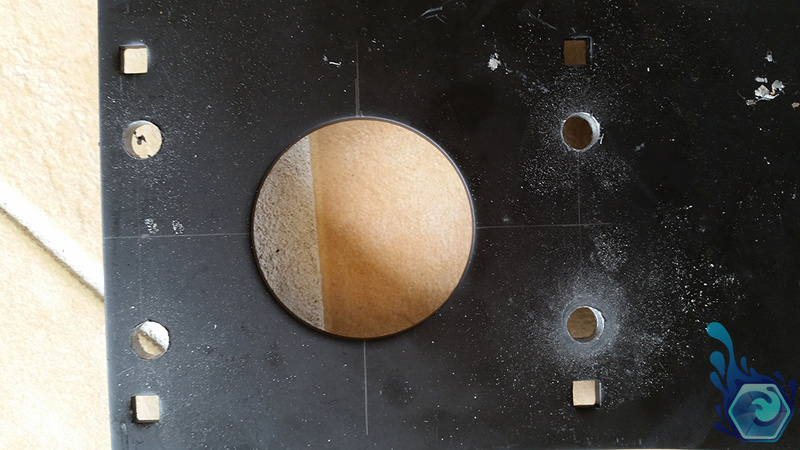 – Showing how thin the metal is after drilling the holes. Fig18. 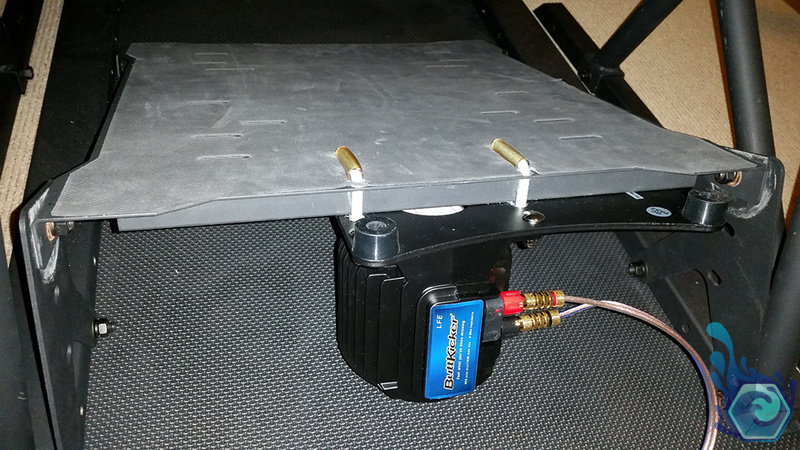 – The front couch kit attached to the foot-rest. That’s it you’re done, you now just have to attach the chair to the frame again and test them out! Leave a comment if you’re stuck, you’ve completed it successfully or have questions about dimensions. Fig20. – A low shot of the successful chair mounted buttkicker. Fig21. 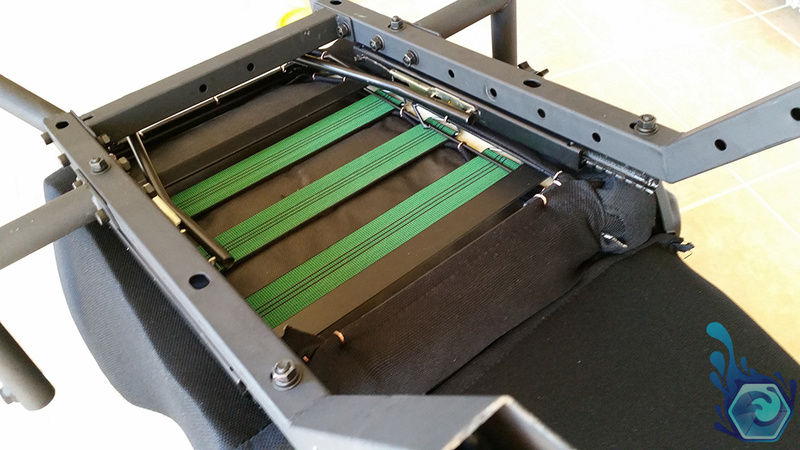 – A more detailed view of the underside of the chair where it’s mounted (Before cutting the thread). Fig22. 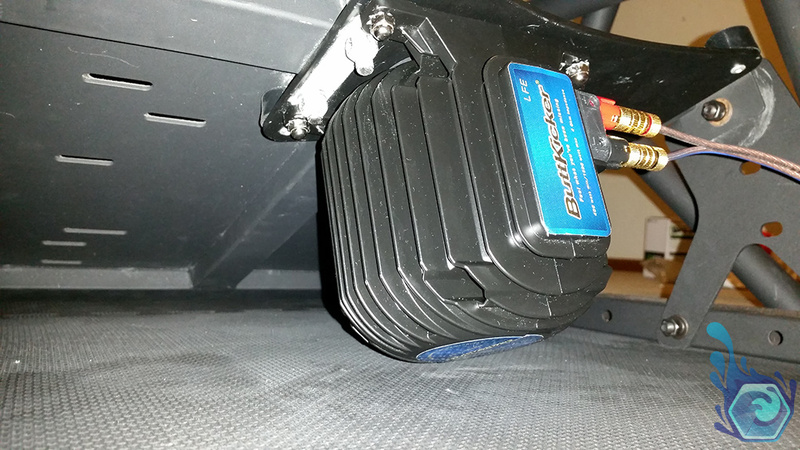 – A top view of the foot-rest mounted buttkicker. Fig23. – The underside of the front mounted buttkicker. Fig24. 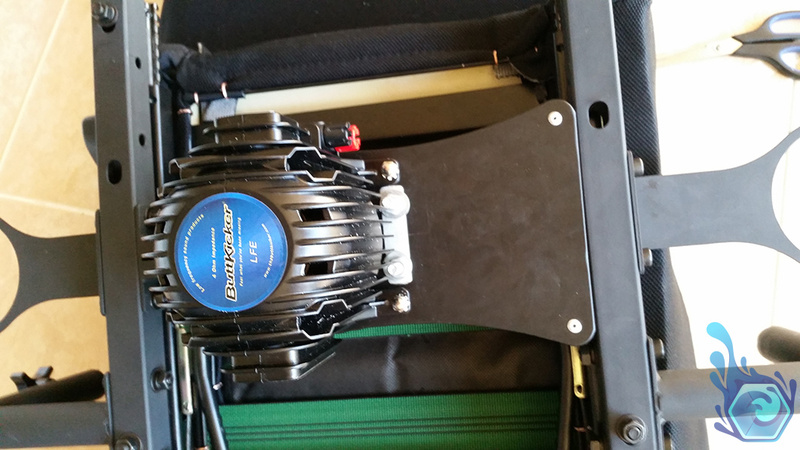 – A view of the front buttkicker plugged in and operational. The only regret I have from this project is letting the sawn-off bolt thread melt through the chairs ‘vinyl’? layer. 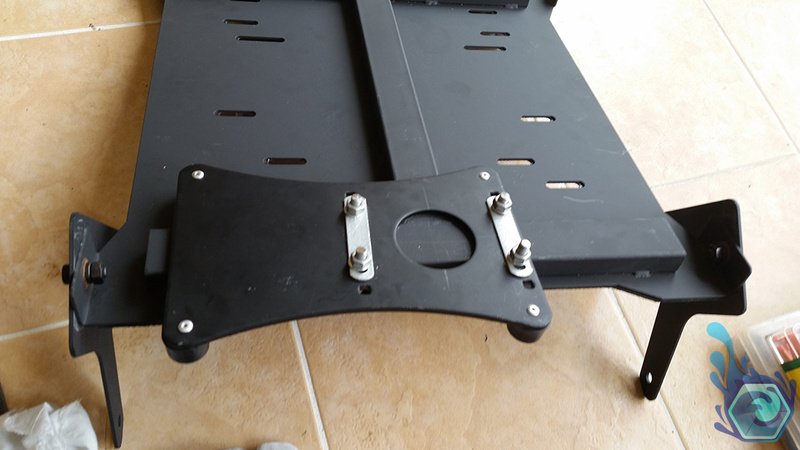 Also I would have liked to cut off the excess on the chair mounting kit before mounting it so it’s slightly more centred and to make it easier if I want to mount a second LFE under the chair. This was a great little project overall and it makes me interested in doing some more projects and creating guides on them such as a portable N64 that i’ve been wanting to do for some time using a 3D printed body designed by me in 3DS Max. Tagged Buttkicker LFE, DIY, Mod, Obutto Revolution, Tactile Transducer. Bookmark the permalink.